Bob Kauflin, author of ‘Worship Matters’ among other books, has been a great leader in the global worship community for years. I love his consistent call to keep the Gospel of Jesus Christ central in all we do. Every once in a while he’ll write or say something that gets under my skin. It’s a good thing, because often I’ll discover it’s bothering me because it exposes something in me that needs to change: A misplaced priority, a misconception, or pride. Bob’s words have helped me be a better follower of Christ and better worshiper. Other times, I feel like there are things to press back on just a bit. Recently, Bob wrote a great article with a somewhat click-baitish title called ‘Why a Synthesizer isn’t the Holy Spirit.’ You can read it here. Overall, it’s a good read and I agree with the obviousness of about 83.5% of it. Music is more than a mere manipulator. It isn’t a human ‘trick’. Music is a creation of God to be used for God. Music’s affect on us cognitively and emotionally is by design. God’s design. God made music before he made humans (Job 38:4,7). 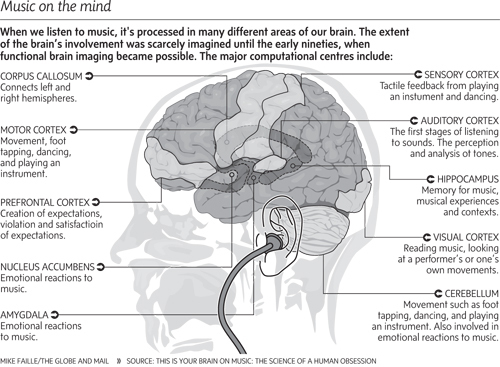 The way God has fashioned our brains to respond to music is fascinating. It affects our cerebellum, which searches for pattern and repetition, it creates deep synapse connection to the amygdala and hypocampus which control emotion and memory. It appeals to our rationality, memory and our emotion. God designed our brains to respond to music with the intent of using this response joined with scripture and the work of the Holy Spirit to reveal Himself and the Glory of Christ to us. Music evangelizes the existence of God. From this perspective, I differ slightly from Bob’s statement that music by itself is ‘truth-less’. I agree that it does not give us specific revelation about the Gospel of Jesus Christ, but it does communicate the truth of general revelation ala Romans 1:20. It communicates resolve, order, harmony and pattern that reveal God’s ‘eternal power and divine nature by what has been made so that [we] are without excuse’. Some of the most secular people in the world still acknowledge the existence of something they can’t explain when they listen to great music. Music evangelizes the existence of God. God intends music and song to be used to have the word of Christ dwell in us richly and to be filled with the Spirit. The Bible commands us to utilize music, which He created, to communicate the Truth of His Gospel. God Himself writes a song in Deuteronomy 31:19 to the Israelites as a means of reminding them of His deliverance and as way to convict them when they wander. The Gospel doesn’t depend on music and neither does the Holy Spirit (which I think is what Bob is saying in the article). But God certainly commands us to use it. Colossians 3:16-17 and Ephesians 5:15-20 tell us that God intends music and song to be used to have the word of Christ dwell in us richly and to be filled with the Spirit. …carefully reevaluate the ‘why’ behind the ‘what’ of our worship liturgies. My takeaway from Bob’s thoughtful article is to carefully reevaluate the ‘why’ behind the ‘what’ of our worship liturgies. It is so easy to begin to ‘worship and serve created things, rather the the Creator, who is forever praised, Amen.’ I certainly don’t want to be worshiping my shimmer pad! However, I believe God is pleased when I faithfully and humbly submit my shimmer pad to the Glory of Christ, the work of the Holy Spirit and the worship of the Father. This may mean using it more or shutting it down entirely. When Jesus is our mediating worship leader (Heb 2:10-12), these decisions can become acts of worship themselves rather than preference debates. Thanks, Bob for the thoughtful piece. Rpr, Glad the article helped! God speed. Appreciated this. Thoughtful, mature and helpful to pull the gold out more effectively from what Bob was trying to get to.